Enough of art craft work has been done with the pallet thing. Pallet recycling has proved to be pretty handy and economical as well. We have made countless items by upcycling wooden pallet and used them practically in our daily life. 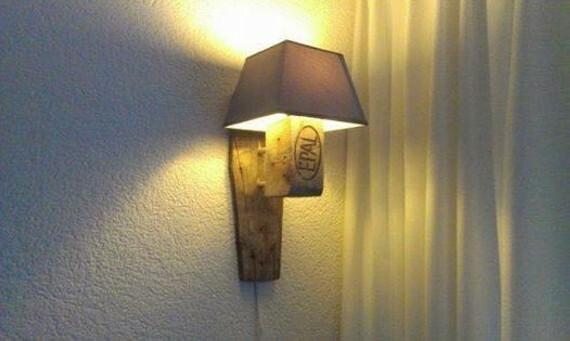 As you all know that we always come up with some new inspirational pallet wood repurposing ideas, so how would it sound if we talk about making pallet wood lamp? Isn’t it going to be something exceptionally new and unique? Ofcourse it is man. 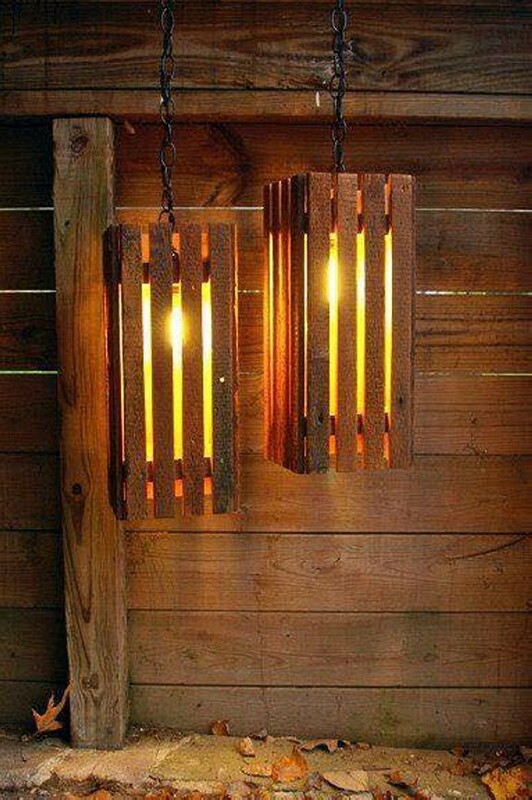 it would be a real great idea to make pallet recycled lamp instead of going for market based expensive branded lamps. 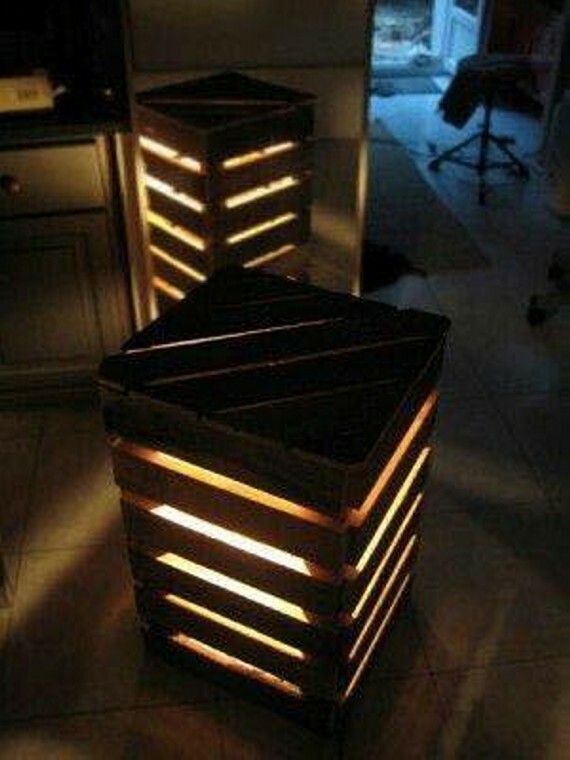 Pallet wood is so damn easy in handling that it gives you all the freedom to translate your ideas and imaginations into practical art crafts that could also be used practically. Here is a real time demonstration of repurposing the pallet wood. This is a room based lamp that is installed on the wall in a corner of the room right beside the curtains. 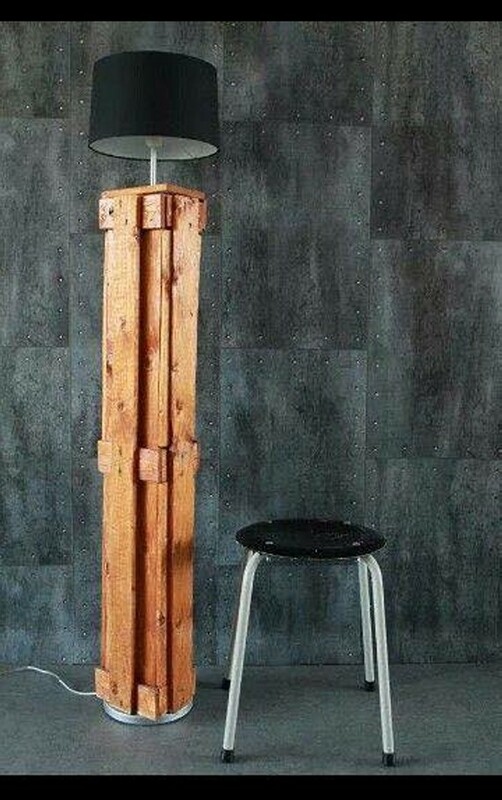 Its base is made with wooden pallet. This would certainly look great the way it is installed along with the wall, and would add immense charm to your room interior. 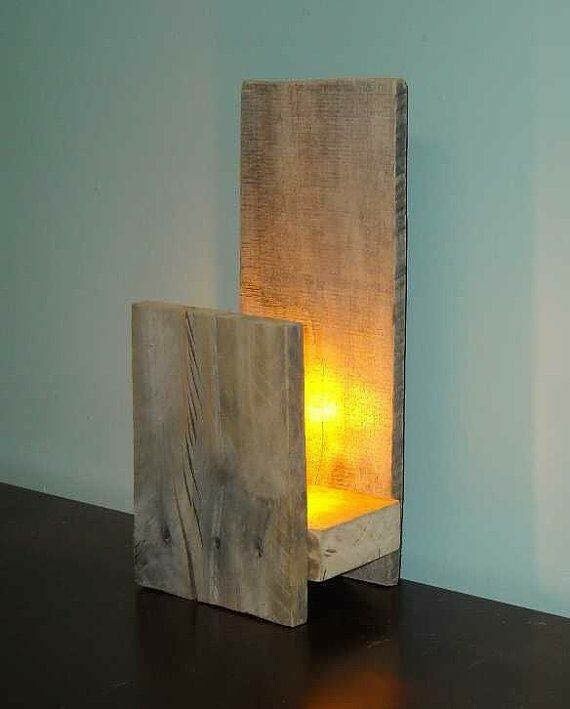 Here is another idea of a pallet lamp which is pretty high in the height. This is a perfect master art craft to be placed in your lobby or drawing room to enlighten your space. Its black upper shade is contrasting the rustic wood color. 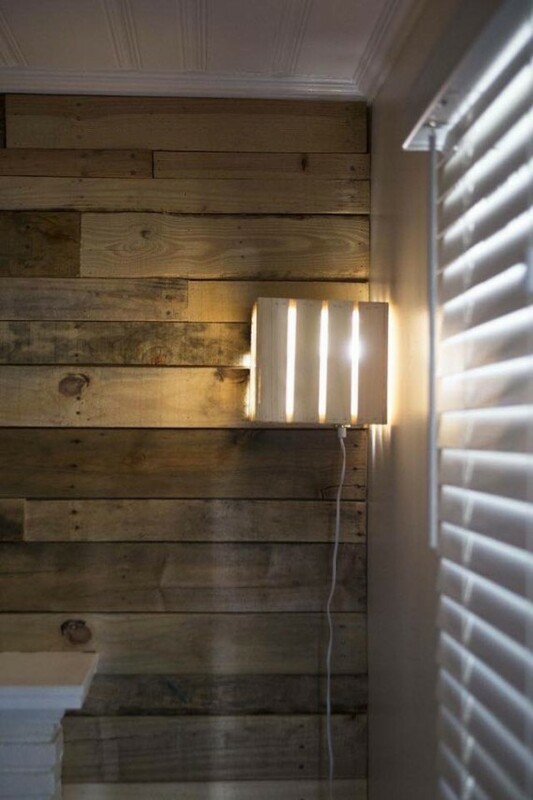 The pallet wood is not painted or stained but left in its natural color. This is probably left un stained to add some vintage touch to the room interior. Have a generous look on this art craft, you are not going to find out this master piece any where in the entire market.